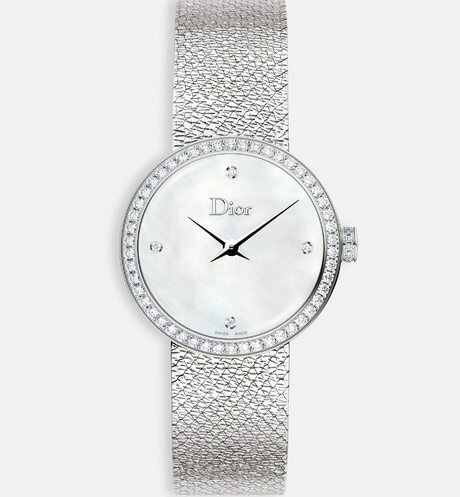 With its Milanese mesh bracelet, the La D de Dior Satine watch takes the shiny suppleness of a small silk ribbon and recontextualises it into a watchmaker's vernacular. 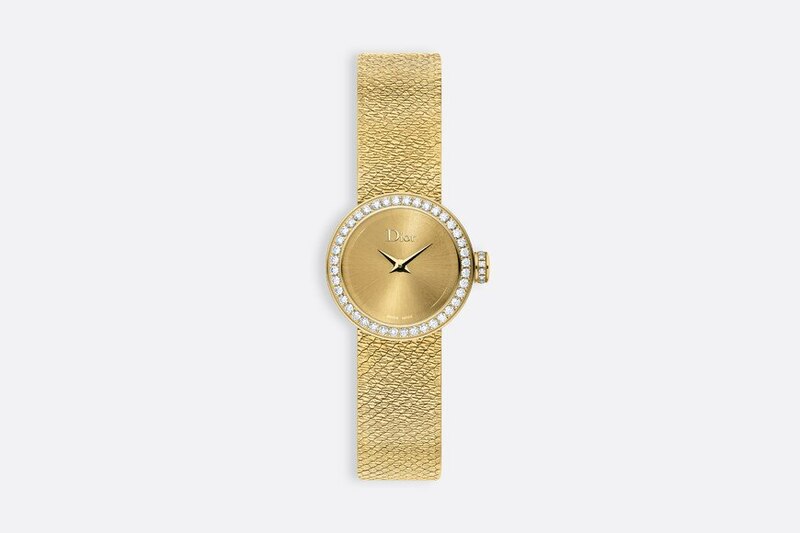 Yellow gold Milanese bracelet, yellow gold folding clasp set with diamonds. 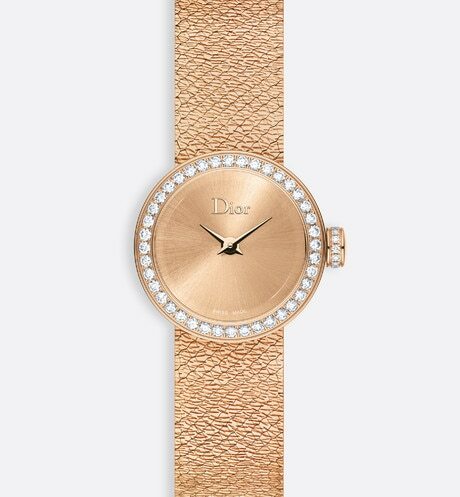 Orders are prepared and dispatched the same day when placed by 12 p.m. and within 24 hours when placed after 12 p.m. Orders placed at weekends and on bank holidays are dispatched within 48 hours. 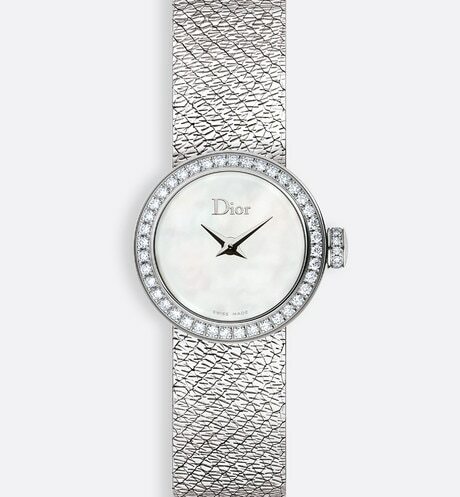 Dior offers two rapid and secure delivery options. You can return or exchange any order* within 30 days of receiving it. 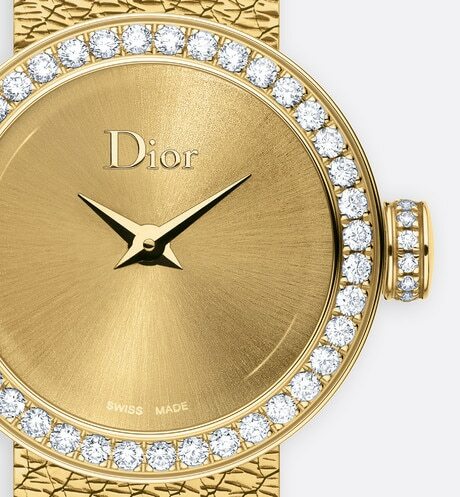 Dior offers two return options: by post or in one of our boutiques, subject to certain conditions. This option allows you to shop online and pick up your order at your convenience. 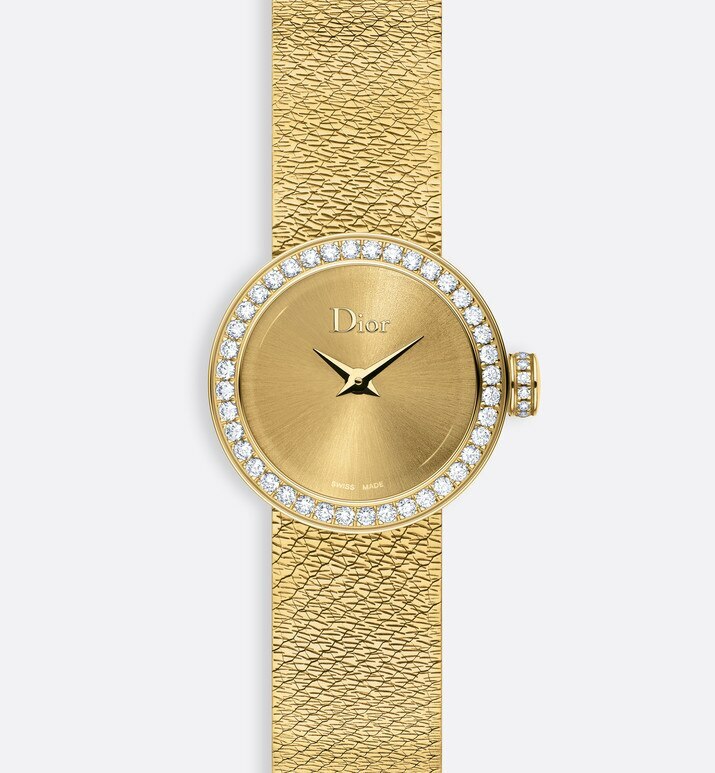 This service is only available at certain Christian Dior Couture stores, and for certain products, when you choose the delivery method for your online order.